In some situation, comma is used instead of a dot to separate the fractional part of decimal numbers. 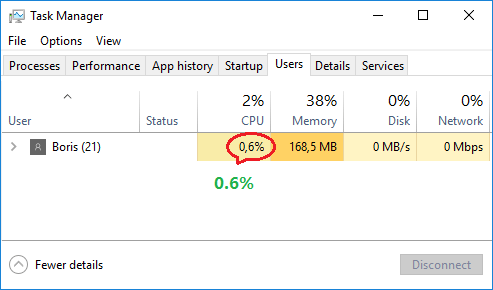 This might cause some issues with certain software. How can you change the decimal separator from a comma to a dot in numbers? 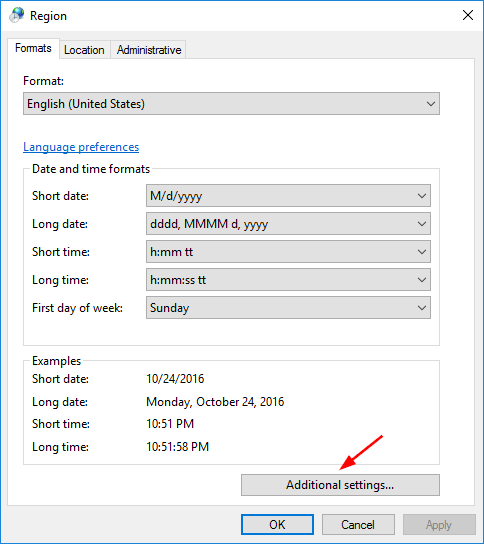 In this tutorial we’ll show you how to change / customize the number format in Windows 10. 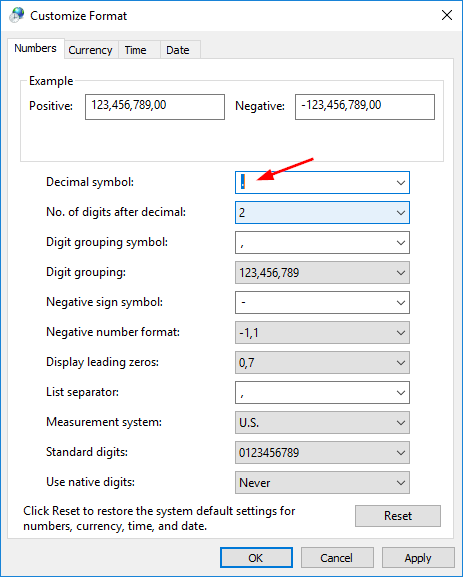 How to Change Number Format in Windows 10? Open the Control Panel in Large or Small icons view. Click on Region. 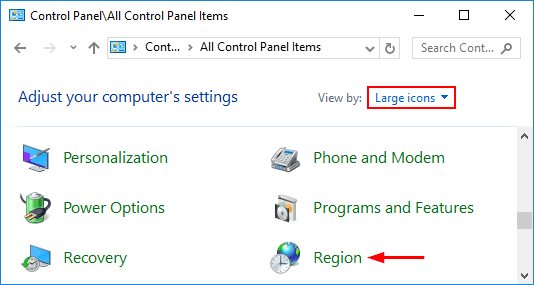 When the Region window opens, click on the Additional settings button. The Customize Format window opens. In the Numbers tab, you can customize how numbers are displayed by Windows. For example, change decimal symbol from , (comma) to . (dot). If you’ve messed up the number format, just click the Reset button on the bottom-right of the window. It will restore your number format to default.